What began in 2017 as our inaugural 16 oz. can release has become the annual flagship release in our year-round Experimental IPA series. This 100% Citra Double India Pale Ale is brewed with concentrated Citra Lupulin Powder, then Double Dry-Hopped with a dose of 3 lbs. per barrel for an even fresher Citra finish on the back end. The result is a full-bodied 8.0% ABV offering with a clean, dry finish and a tightrope balance of bitterness and dank, juicy, citrusy notes. Cut the line. Hit the slopes. Fresh Powder awaits. This year, we’re teaming up with CraftCellr for those who can’t make it on release day! If you want to lock down your 4-pack of this DDH Lupulin Powder DIPA ahead of time, simply use the link below to reserve yours so you don’t have to fight for your spot on the lift. We’ll hold a limited number of Fresh Powder cans for pick-up during taproom hours starting at Noon on release day up until 7 pm on Sunday, 2/17. The post Virginia Beer Co. 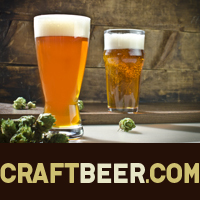 Teams with CraftCellr for 2019 Fresh Powder Release appeared first on CraftBeer.com.